Find Plastic Floor, Sports Floor, Rubber Sheet & Mat on Industry Directory, Reliable Manufacturer/Supplier/Factory from China. 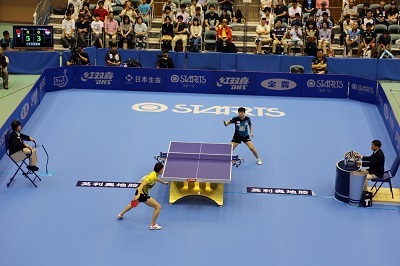 Is choosing the right sports flooring confusing? Are there way too many choices and confounding technical jargon? Enlio can solve your problem. Enlio create custom-made solutions tailored to meet your specific needs. Our high-quality Sports Floor products offer both performance and safety for both indoor and outdoor sports activities. 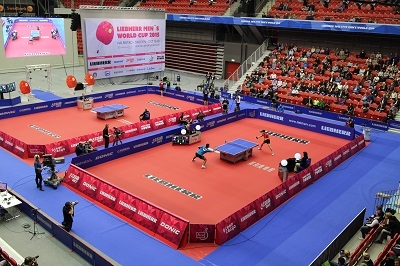 Be it basketball or table tennis, A Yoga room or gymnasium, badminton or a multi-sports facility, Ecoflex sports flooring surfaces come with highly advanced safety features that deliver excellent traction and support. Designed to deliver quick shock absorption response they ensure resistance to potential slips or slides. Our sports surfaces go through rigorous testing to meet international standards, therefore, guaranteeing unmatched quality. Our sports floors are also environment friendly and highly hygienic. They are easy-to-clean and maintain under any weather conditions. Our wear-resistant sports surfaces are long lasting, and come in various design, colour and shape options without burning a hole in the customer`s pocket. 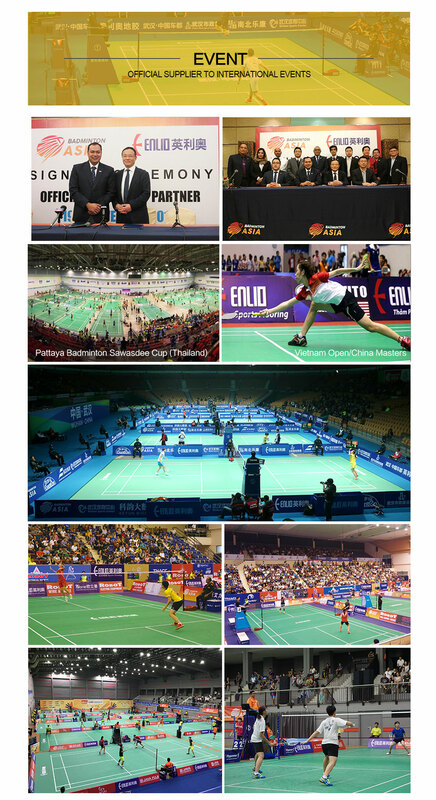 Badminton court flooring has been used and will be used for 2017-2019 Badmintion Aisa Championships,2017-2019 Badmintion Asia Mixed Team Championships and 2017-2019 Badmintion Asia Junior Championships U19/17/15 . 4. We have the world's advaned Lab,and invest hevily in new product development every year. 2. high density of Foam layer So Foam layer quality are higher ,and the flooring have long service life. 1.What's your product range of Sports flooring? 2. What information do I need to provide to get a quote? 3. How can I get a sample? We charge $50 for standard sample confirmation. And the sample fee will be deducted with the first order payment. 4. What if the quantity I need is lower than the MOQ? Our MOQ is 500 sqm each different design. It is negotiable for the existant inventory. Please contact our sales person for detail information. 5. Before make the order, can I visit your factory? Yes, you are welcome to visit our factory. Please inform us your traveling schedule ahead of time. We can arrange to pick you up at the hotel or the airport. 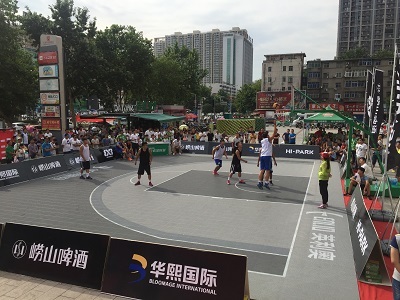 Shijiazhuang Enlio Sports Goods Co., Ltd., located in Shijiazhuang, is a leading plastic Sports Floor making company. Our company integrates the manufacture, sale and after-sales services. In 2006, on the basis of original Taiwan technology, we developed PVC Sports Flooring by applying the metal-rolling production line from Germany. Our annual production capability is 5,000,000 square meters. At the same time, we also provide high-qualify OEM services for many brands. Our "ENLIO" brand products have been exported to the UK, France, Korea and many other countries in Southeast Asia and we also have developed nearly 300 partners in China. Our main products include plastic sports flooring for badminton, table tennis, basketball, volleyball, tennis, dancing rooms and gyms. "ENLIO" products have passed the tests held by China National Sports Products Quality Centre, China National Center for Quality Supervision and Environment Protection Products Test Center (NEPP). 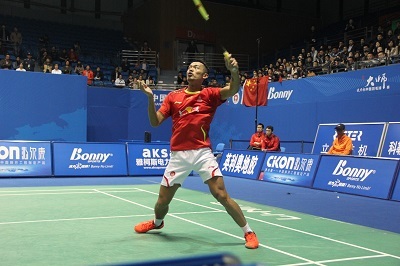 Meantime, ENLIO badminton plastic sports flooring has been authorized by National Badminton Association. Until now, ENLIO has passed ISO9001 quality system management certification and ISO14001 international environmental management system certification. 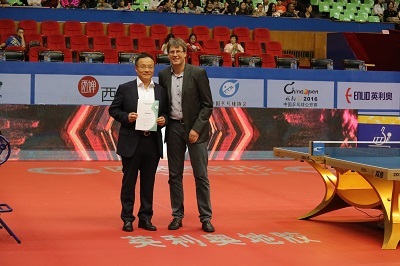 We also keep good relationships with table tennis world champion - Niujianfeng and Badminton world champion - Yezhaoying as our ENLIO spokespersons. 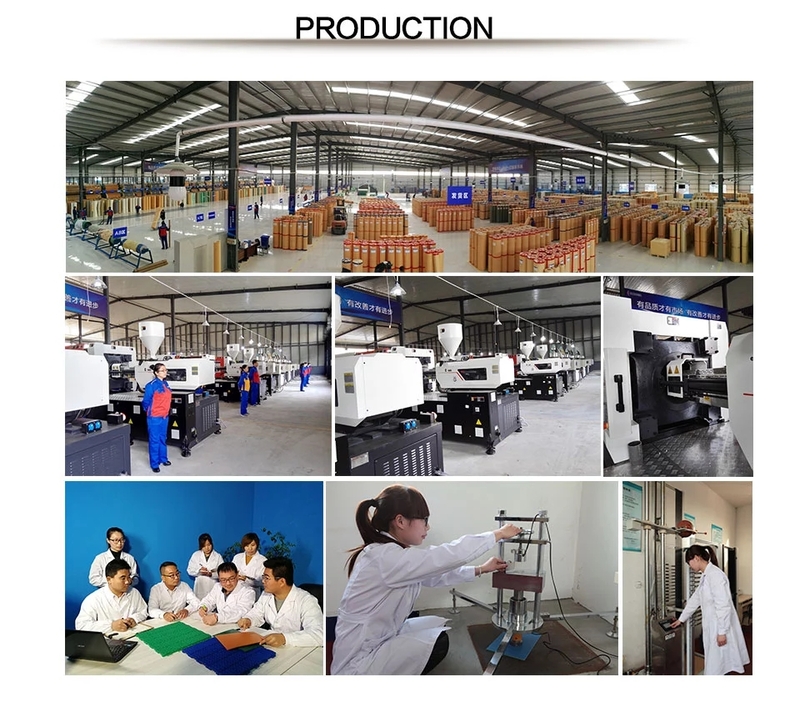 We have advanced production equipment, technology, professional management, heart to heart after-sales services and a huge market network. Relying on these advantages, we strive to make ENLIO brand to be a world-class brand. 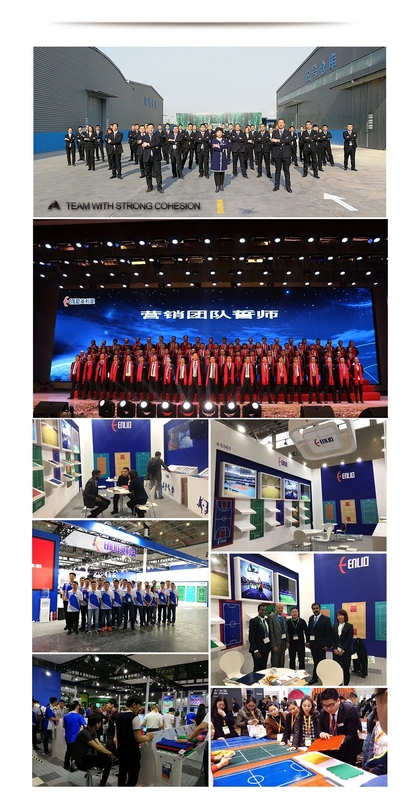 Company Name: Shijiazhuang Enlio Sports Goods Co., Ltd.